Amy Ferrero’s is Head of Client Services for MassMutual Insurance Operations. 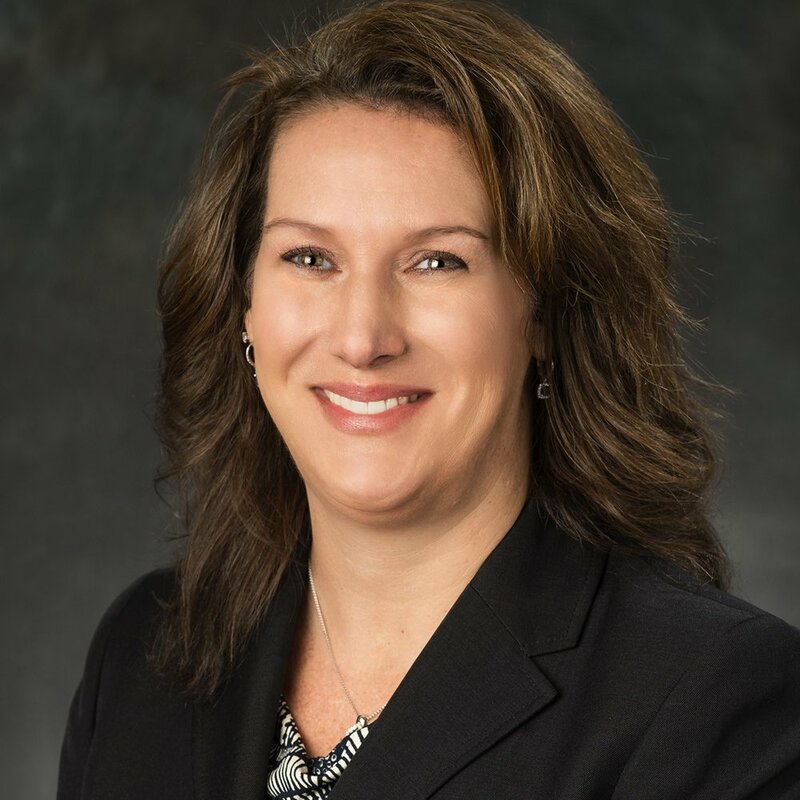 She joined MassMutual in 2008 and has served in a variety of other leadership roles including Head of New Business Strategy and Head of Claims. Prior to MassMutual, Amy worked for Merrill Lynch where she was the Chief Operations Officer for Insurance Operations as well as Director of Sales Development and Support for the Americas Bank Group. Amy graduated from Hartwick College with Bachelor’s degree in Business Management and Economics and received her Masters of Business Administration from the University of Massachusetts, Isenberg School of Management. Amy resides in Western Massachusetts with her husband two daughters. I graduated from UMASS in Dec 1989. Upon graduation, I joined Pratt &amp; Whitney’s Financial Leadership Program (now UTC’s Financial Leadership Program). I am currently the Associate Director of Manufacturing Accounting at Pratt &amp; Whitney. In this role, I am responsible for all cost accounting and financial reporting related to Manufacturing Operations. Additionally, I have held a variety of leadership positions within the Commercial Engines Finance organization and the Controller’s department. I have had the great opportunity to manage and develop accounting and finance teams at Pratt & Whitney headquarters in E. Hartford, CT as well as at a number of foreign and domestic subsidiaries around the world. I appreciate the opportunity to participate in such an extraordinary networking event. Barbara is an organizational development and communication specialist with over 20 years helping organizations thrive. She is also a lecturer in the Management Communications program at the Wharton School of Business. 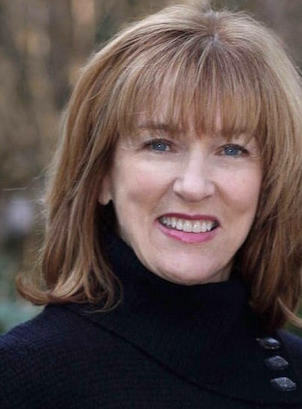 She is best known for blending her theatrical experience, Irish Catholic humor, and hard-won leadership skills to help professionals become more effective leaders and communicators. She is the author of Commit to Confidence: 30 Strategies to Help Women Step Up and Stand Out. A native Bostonian and proud member of Red Sox Nation, Barbara holds a master's degree in psychology from Northeastern University. Ten years ago, she founded two consulting companies: Barbara Roche & Associates (leadership development and team-building) and SpeakWell Partners (public speaking and leadership communication). Brianna Cole graduated from the Isenberg School of Management in 2016 with a degree in marketing and hospitality and tourism management. During her time at UMass, Brianna had a handful of internships with Starwood Hotels where she learned the ins and outs of the hotel industry. Additionally, she was involved with the HTM Career Day where she served as Marketing Chair during her junior year followed by Committee Chair senior year. As a result of one of her internships, Brianna was offered a marketing coordinator role for Marriott International at the Aloft & Element Boston Seaport District Hotels to start her post-grad career. Brianna served as an integral part of the Aloft & Element team as she was responsible for managing all marketing functions to ultimately become the face of the brands. In April of 2016 when the Marriott & Starwood sales organizations merged, Brianna was promoted to destination sales executive at the properties where she served as the on property sales leader. Having had passion for the gaming industry, Brianna decided to pursue a role at the Encore Boston Harbor with Wynn Resorts, set to open in June 2019. As of early December, she is now Encore’s hotel marketing manager working in the pre-opening office preparing for this historic opening. Brianna Pina is the Head of Diversity & Inclusion for The Broad Institute of MIT and Harvard, headquartered in Cambridge, MA. She works proactively to provide counsel and support to the institute’s leaders to enable them to leverage the power of diverse backgrounds and experiences to accelerate the pace at which the world conquers disease. Currently, she is responsible for providing vision and leadership to launch the Office of Diversity & Inclusion, the design and implementation of programs and initiatives associated with creating a culture of belonging for all and the growth and development of employee resource groups. Brianna earned her bachelor’s degree from the University of Massachusetts, Isenberg School of Management in Business Management and Legal Studies. While attending, she discovered her passion for mentoring and coaching underrepresented business students. During college she held various positions in residential life, school of management, corporate internships focused on inclusion and success of diverse populations. Outside of work, she continuously seeks opportunities to “pay it forward” to help others reach their full potential and get involved in the community. She currently serves as a member of Alpha Kappa Alpha Sorority incorporated and New England Association of African Americans in Human Resources. Brittany graduated from UMass Amherst in 2013 with a B.B.A. in Accounting and a B.A. in Political Science. She was a member of Isenberg Fellows and the Isenberg Undergraduate Leadership Club (U-Lead) while at UMass. After graduation, Brittany began working as a tax accountant for Ernst & Young in Boston, where she has been for the past five years. She is now a Tax Manager in the Private Client Services practice. She is active in the UMass recruiting efforts at Ernst & Young and loves going back to campus to meet with students. She appreciates building relationships with both her external clients and the people she works with at the firm. She enjoys traveling, skiing, and reading in her spare time. Caroline is a health communicator and project strategist. She currently works at Brigham and Women’s Hospital coordinating digital initiatives while getting her Master of Public Health (MPH) at Harvard University. For three years, she led product content management and member marketing at Virgin Pulse, a software company that helps two million employees reach their wellbeing goals. Previously, she worked as a Writer and Project Coordinator at CommunicateHealth, a health education consulting firm in Northampton, MA — and as a Business Manager at Island Moving Company, an arts non-profit in Newport, RI. Caroline graduated from UMass Amherst as a Peer Mentor and member of the Women’s Track & Field program with degrees in Business Management and Public Health. Carolyn Tiernan is the Communications and Public Relations Specialist at edX, the nonprofit online learning platform founded by Harvard and MIT. Her background is in B2B tech PR and corporate reputation communications where she worked at PR agencies North of Nine Communications and Red Lorry Yellow Lorry, servicing clients including Intel Corp., Intralinks, Falcon.io, and Elo. Carolyn graduated in 2013 with a B.B.A. in Marketing from the Isenberg School of Management at the University of Massachusetts at Amherst. Ms. Denise Andrews is COO and Managing Partner of Legacy Unlimited, www.legacyunlimited.us, a global consulting company specializing in leadership development, diversity, and inclusion. Denise has an undying passion to make the world a better place.Ms. Andrews is a respected leader of change for communities, business, government, globalization and diversity within the private and public sector. She leads global leadership development and diversity and inclusion initiatives, teaching over 8000 people, from more than 103 countries. Ms. Andrews is an experienced strategist, results driven servant leader, master trainer, executive advisor and designer of high performance leadership and organizations. - to be free to dance in every country. Ms. Andrews holds a Bachelor of Science degree in Chemical Engineering from the University of Massachusetts and a Masters in Business Administration from Xavier University (Ohio). Ms. Andrews is a past and current board member for Women’s International Networking, Lausanne, Switzerland. Ms. Andrews was founder and leader of the P&G Women's Alumni Forum from 2005-2014. Ms. Andrews is past Chair for Massachusetts Governor Patrick’s Equal Opportunity, Non Discrimination and Diversity Advisory Council. Diane is the Founder & Director of Ceniarth, a single-family office and related private foundation, focused on funding solutions that benefit marginalized communities. Ceniarth invests globally, primarily in rural, underserved regions in sectors such as agriculture, financial services, housing, and energy. Diane manages a team of ten finance and investment professionals headquartered in London and with remote employees in New York and San Francisco. For the past thirty years, Diane has been actively involved with community organizations in rural Wales with an emphasis on improving economic opportunity and access for disadvantaged communities. She has worked in a variety of capacities as a teacher, including developing a primary school curriculum around Fair Trade, the founder of a nursery, and a counselor for the local citizen’s rights organization. Through experiences as a working partner on a family upland livestock farm, she has developed a strong interest in agricultural development. Diane’s interest in international development began when working on family planning and maternal health in Bangladesh. Diane has a B.A. from Oberlin, an MPH from the University of Michigan, and a PGCE from Aberystwyth University. Elizabeth is a communications professional with a background in content creation, public relations and social media. She is currently a communications specialist at Massachusetts Eye and Ear, a specialty hospital in Boston. She previously worked in public relations and social media on the agency side for six years at the Boston PR firm, The Castle Group. Prior to joining the public relations industry, Elizabeth worked in catering and special events. She earned a bachelor’s degree in Hospitality and Tourism Management from the Isenberg School and a master’s degree in Public Relations from the College of Communication at Boston University. Outside of the office, Elizabeth keeps busy writing a lifestyle blog, cooking and seeking out new restaurants. Emily Must joined the faculty at UMass in the Fall of 2016. After working in the professional sports and event management industry Emily relocated from Miami to the University of Northern Colorado, where she earned her PhD in Sport Administration and minored in Statistical Research Methods. While earning her doctorate Emily was a teaching assistant an UNCO and an Adjunct Professor of Sport Industry Operations at Metropolitan State University in Denver, Colorado. In the Fall of 2018 Emily assumed the role of Internship Coordinator and enjoys helping students find their role within the industry. She has also co-created an online personal finance and investing course aimed at getting the college student prepared for the future. Emma Sandjong currently works as a Leadership Development Manager at Digital Federal Credit Union (DCU). She holds a Human Resources Management certificate from George Mason University, a BBA degree from Northwood University and a Masters degree in Development Administration (MDA) from Western Michigan University. She is also certified to administer and coach others in 25+ different leadership development tools and assessments. Her background includes over ten years of experience in leadership development, adult learning, needs analysis, instructional design, onboarding, performance management, continuous improvement, employee engagement, organizational effectiveness, 360 assessments, team building and change management. Before joining DCU, Emma worked as an Organization Development Specialist at UMass Memorial Health Care where she oversaw large, complex, organizational-wide programs. She served as a co-chair of an employee resource group sponsored by the UMass Memorial Medical School (UMMS) Diversity and Inclusion office. In 2017, Emma was awarded the Emerging Leader Award by the Worcester Chamber of Commerce. She is a member of the Association for Talent Development (ATD). Heidi Bailey earned a BBA from Isenberg and MBA from Western New England University. Her specialty in Consumer Relationship Marketing and Brand Management at the LEGO Group provided opportunities to "Inspire and Develop the Builders of Tomorrow" working with colleagues around the world, and to partner with respected brands like Disney. She is currently a Visiting Instructor at the UCONN School of Business, and also enjoys reconnecting with UMASS friends and mentoring Isenberg students. 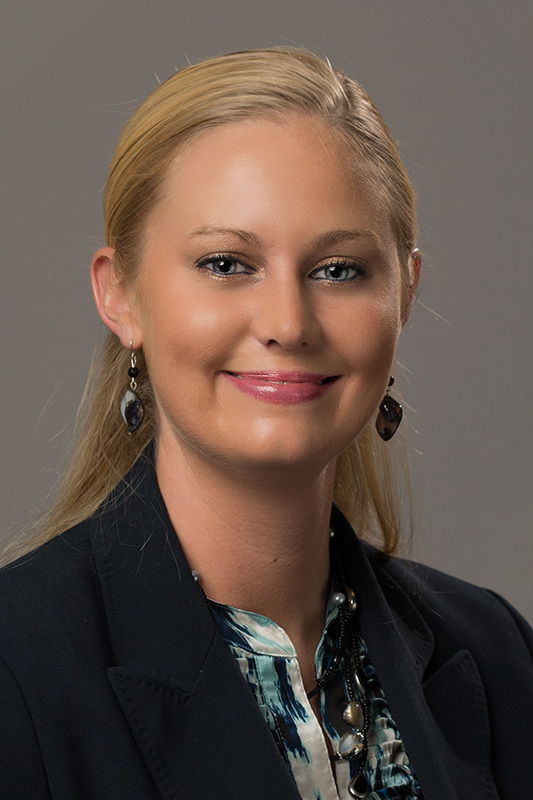 Jaclyn Sostilio is a UIT and International Service Specialist at Eaton Vance. In her daily role, Jaclyn acts as an operational liaison for the International Home Office, developing and maintaining relationships with key Distributor’s in Home Office operations areas. Jaclyn is also responsible for all Unit Investment Trust business. After spending a year as a Domestic Mutual Fund Specialist at Eaton Vance, Jaclyn was promoted to her current role. This expanded her responsibilities to cover all International Products including Mutual Funds, Hedge Funds, and Private Placements. Jaclyn graduated from UMass Amherst in 2016 with a BS in Resource Economics. Since graduation, Jaclyn passed her Series 7 and plans to take the Series 65 exam. Jaclyn is a dedicated member of Eaton Vance’s Women’s Leadership Exchange, whose mission is to recruit, engage, and develop a talented and diverse workforce. Aside from work, Jaclyn also volunteers on the leadership team for the Young Financial Professionals Expect Miracles, a team that is dedicated to advancing the fight against cancer. Jaclyn resides in Boston and spends her free time traveling, hiking, and cheering on Boston sports teams! Jane Fontaine, SVP of Human Resources & Training – Jane leads the human resources and training function for Digital Federal Credit Union (DCU) the largest credit union in New England with over 1300 employees and 23 branch locations. Reporting directly to the CEO, she is responsible for overseeing all Human Resources functions including Talent Management, Benefits Administration, Organizational Development, Payroll, Compensation, and Training. Jane possesses over 25+ years of human resources experience in a variety of organizations including the healthcare, insurance and business services sectors. She holds a BS and MS degree from Johnson & Wales University in Providence, RI; a Masters in Healthcare Administration (MHA) degree from St. Joseph’s College in Standish, ME and an MBA in Organizational Development from Upper Iowa University.. Jane is certified by the Society of Human Resources Management as a Senior Professional in Human Resources (SHRM-SCP) and the Human Resources Certification Institute (SPHR). Jane is currently the President of the Human Resources Association of Central Massachusetts..
Jean (Montgomery) Smith is a 1990 graduate of the University of Massachusetts Amherst where she earned a degree in Hotel, Restaurant and Travel Administration. She started her hotel career as a front desk clerk at a Marriott Fairfield Inn in Burlington, Vermont. After working for 5 years in various assistant manager roles in Tennessee and Massachusetts, Jean earned her first General Manager position at a Courtyard by Marriott in Foxborough, Massachusetts. Jean left Marriott International two years later, when she was recruited to join Colwen Hotels, a new franchise management company. She was the opening General Manager of its first hotel. As the company quickly grew, Jean's responsibilities expanded and she developed into a key manager with Colwen, leading in a variety of roles from corporate operations management to hotel development. In 2010, Jean accepted a career opportunity with White Lodging as a Regional Vice President overseeing hotels in Michigan and Florida. Two years later, Jean took charge of the lifestyle hotel portfolio for McKibbon Hotels, based in Tampa, Florida. In this position, she also served on the franchise advisory council for AC Hotels for Marriott International. Jean rejoined Colwen in 2016 as the Executive Vice President overseeing the Procurement and Interior Design division of the company. In 2018, the company opened 11 hotels. Jean is currently the Chief Operating Officer for Colwen Hotels and Colwen Design and Purchasing. 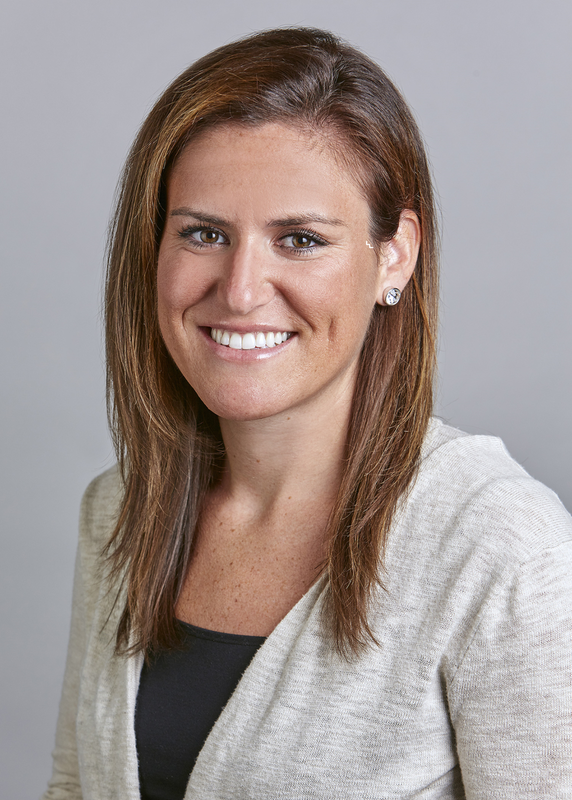 Jen Russo lives in New York City where she currently works as the Director of Sales Operations for the National Client Partnerships team at Entercom Communications. In her role, she is responsible for building sales strategy and developing business with corporate partners. Jen graduated from Isenberg in 2014 with her B.S. in Sport Management. Prior to her current role, she managed the Digital Planning team at NBC Sports. She is an avid sports fan, particularly golf. This year she will be running the Boston Marathon to raise funds for Golf Fights Cancer, an organization dedicated to donating to cancer-related charities and research organizations. Since 1997, Judi Haber has helped propel the growth of MORE Advertising—transforming a two-person, one-office operation into one of the foremost women-led marketing and creative agencies in New England. While guiding MORE’s evolution into a highly respected, mission-based agency, Judi has leveraged both her academic background (including her BS from UMass Amherst), and her non-stop volunteer activities in human and social service. At MORE, Judi has directed virtually all of the agency’s public and non-profit communications initiatives. She’s produced award-winning, statewide campaigns to drive awareness for critical public and social issues—such as the opioid epidemic, tobacco cessation, healthcare for the underserved, the dangers of vaping, AIDS/STD prevention, marijuana education, employment for people with disabilities, veterans services, and statewide workforce development, to name a few. Judi is a welcome and valued presence at all levels of state government, including the Executive Office of Health and Human Services, the MA Department of Public Health, the University of Massachusetts Medical Center, the Attorney General’s Office, and many other health-related institutions. She is currently working on a campaign supporting Governor Baker’s initiative to address sexual assault and domestic violence. Judi also sits on the board of two child-serving NGOs: The John M. Barry Boys and Girls Club of Newton as the former President of the Board and now a member of their Advisory Council and the Hyde Square Task Force in Jamaica Plain where she chairs their Resource Development Committee and Annual Making Change Happen Breakfast. As a proud member of Women for UMass, Judi is a member of the Event Sub-Committee. Judith M. Leary (Judy) is the former President and Co-founder of Bearak Reports and IdentityForce. In both organizations she was responsible for all aspects of company operations, including the growth and management of the company’s Information Technology, Client Services, Suppliers, Human Resources and Customer Support teams. Ms. Leary was integrally involved with the sales and business development teams to ensure the highest level of client, member and partner satisfaction. Judy was with the company for more than 33 years and was instrumental in building Bearak Reports into the leading Asset Search and Background Screening Services company within the Federal Government until the sale of the division in 2005. In 2006, IdentityForce was co-founded with her brother Steven (also a UMASS grad) and became the leading provider of Identity, Privacy and Credit services until the company was acquired in August of 2018. With her entrepreneurial spirit Judy is currently working on an opportunity in the retail marijuana industry. Ms. Leary serves on the Board of Directors and the Executive Committee of the Better Business Bureau of Eastern New England and volunteers for The Alzheimer’s Association, Sunshine Golden Retriever Rescue and as a mentor with the Mazie Foundation. She received a Bachelor of Science from the University of Massachusetts, Amherst and continued her education in business and marketing in the Harvard University Extension Program. Kim Bilawchuk is committed to helping soon-to-be and recent college grads their first professional job. She also enjoys helping young professionals get “unstuck” and find rewarding careers. If you are looking for a proven professional who can help you identify what you’re good at and what interests you, create a plan to get where you want to be, and help you develop the skills and tools you need to achieve your success, you’ve come to the right place. With 20 years of corporate and academic counseling experience working with amazing clients with similar worries and concerns and guiding them to achieve remarkable success, her mission and commitment is to help EVERYONE find their dream careers. Kim knows what it’s like to be a soon-to-be college grad and not have a job) or even know what she wanted to do! ), she’s been there, and is committed to helping you get to your first professional job as close to graduation as possible! It also took her several years after graduation to figure out what she really wanted to be after several job changes and lots of informational interviews. Her experience will help you get to your ideal job sooner than you might ever imagine. Kim is a certified practitioner of SkillScan™ and the Myers-Briggs Type Indicator ®(MBTI®) and certified yoga teacher (RYT-200). She holds an MBA from Boston College, an M.Ed. in Counseling from Boston University, and a BBA from UMass Amherst. Kim lives in Lowell, MA, with her husband, 2 school-aged children, and dog. Lauren graduated from Isenberg in 2010 and has been working at TJX ever since. She was in a planning role for five years and has been a buyer for TJX for four years. Professionally, Lauren is motivated by having to solve challenges, thinking outside the box, and working with a team. Personally, she enjoys discovering new places, exercising, and cooking. Lauren’s favorite perks working as a Buyer for TJX is the ability to travel and opportunity to grow. 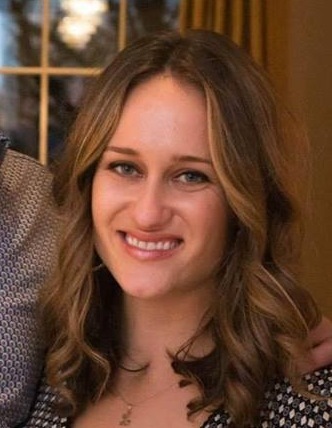 Lauren Casaceli is an Advertising Account Supervisor at Allen & Gerritsen in Boston, Massachusetts where she works on clients like Boston’s Museum of Science and First Citizens Bank headquartered in North Carolina. She began her career at Forge Worldwide where she worked on the Isenberg School of Management and helped launch the school’s We Drive the Driven campaign. Outside of work, Lauren is a Big Sister in the Big Sister Association of Greater Boston and is training to run her second Boston Marathon in April for Michael's Miracle team. Lauren graduated from UMass Amherst in 2011 with a B.B.A. in Accounting from the Isenberg School of Management and minor in Psychology. During her junior year, she completed a winter internship with PwC. Subsequent to graduation, she started full time with PwC in the fall of 2011 and is currently an assurance manager within PwC’s Private Company Services practice. Additionally, she is currently completing a national tour with PwC focused on business development and serving high net worth families. She enjoys working with clients in various industries, of different ownership structures and further expanding her network both within and outside PwC. Outside of work, Lauren enjoys spending time on Cape Cod. Linda K. Enghagen is an attorney and the Associate Dean of Graduate & Professional Programs in the Isenberg School where she is responsible for Isenberg’s on-campus and online masters programs. An early entrant into distance education, her teaching career began in 1984 when she first taught Engineering Law & Ethics in the university’s video-based distance education program. In 1990, she became the first woman awarded the Outstanding Instructor Award from National Technological University. She is also the recipient of three outstanding teaching awards from UMass Amherst. This past November, she was honored by being named a Fellow of the Online Learning Consortium. Lisa Pike Masteralexis, J.D. is the Senior Associate Dean for the Isenberg School of Management, after serving as Associate Dean of Faculty and Administration. Prof. Masteralexis holds a J.D. from Suffolk University School of Law and a B.S. in Sport Management from the University of Massachusetts Amherst. Prof. Masteralexis has published articles and book chapters on sport law, labor relations, and sport management. She is an editor/contributor for Principles and Practice of Sport Management and made over 60 presentations before academic and industry groups. She served on the Executive Board of the Sport and Recreation Law Association, the editorial board of the Journal of the Legal Aspects of Sport and the advisory boards of the Women’s Sports Foundation and the National Sports Law Institute. Prof. Masteralexis received the College Outstanding Teacher Award three times and has been a B.K. Stevens Scholar at the University of Florida and a guest lecturer at Sanno University in Japan. An Associate Professor in Mark H. McCormack Department of Sport Management, Prof. Masteralexis served as Department Head for 17 years during which time the department was named one of the best. A firm believer in experiential learning, Prof. Masteralexis embraced industry engagement for faculty and students. She practiced that engagement while a faculty member as she submitted an amicus brief to the U.S. Supreme Court on behalf of golfer Casey Martin, consulted with players associations in Europe and Japan, and was one of a very few women certified by the Major League Baseball Players Association. 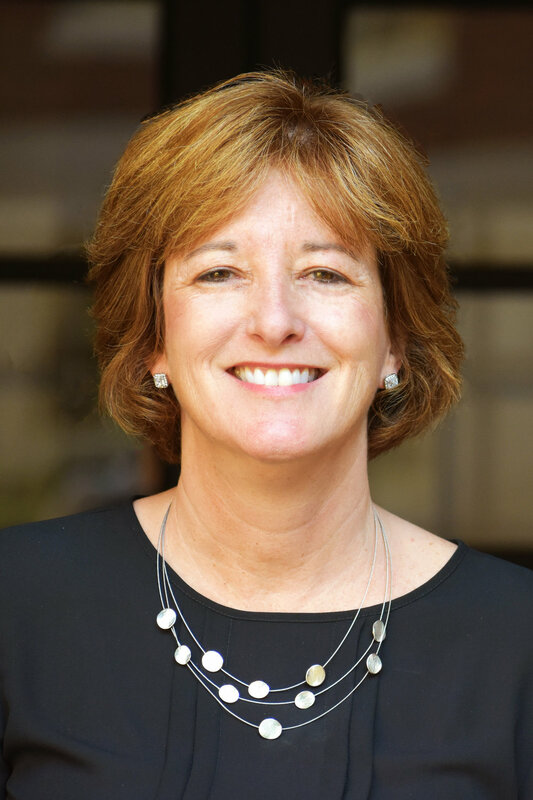 Margery is the Chief Financial Officer and Chief Operating Officer of Mass Insight Education & Research, a non-profit focused on changing students lives and changing schools around the country. Becoming a Certified Public Accountant after graduation from Isenberg launched a career filled with experiences in a wide range of organizations and across them wearing many different hats. Margery spent most of her career in public accounting providing audit, compliance and advisory services to diverse portfolios of public and private-company clients and not-for-profit organizations. She held many leadership roles in public accounting, most recently serving as Partner-in-Charge of a National firm’s Boston office and as a member of that firm’s Executive and Diversity & Inclusion Committees through a transitional period. During her tenure, she led the integration of its suburban and Boston office teams and led office growth and team development initiatives. Her tenure in public accounting also includes having led the Commercial Industries Audit Practice and the Family Business Service Team for a large regional firm. Margery spent eight years with PricewaterhouseCoopers serving emerging and middle market businesses, colleges and universities, and other not-for-profit organizations. During a six-year hiatus from public accounting, Margery worked in industry responsible for financial reporting, budgeting, forecasting and cash management with a global public manufacturing company and in the start-up environment. Margery has lent her financial expertise and business leadership experience to a variety of organizations as a volunteer leader. 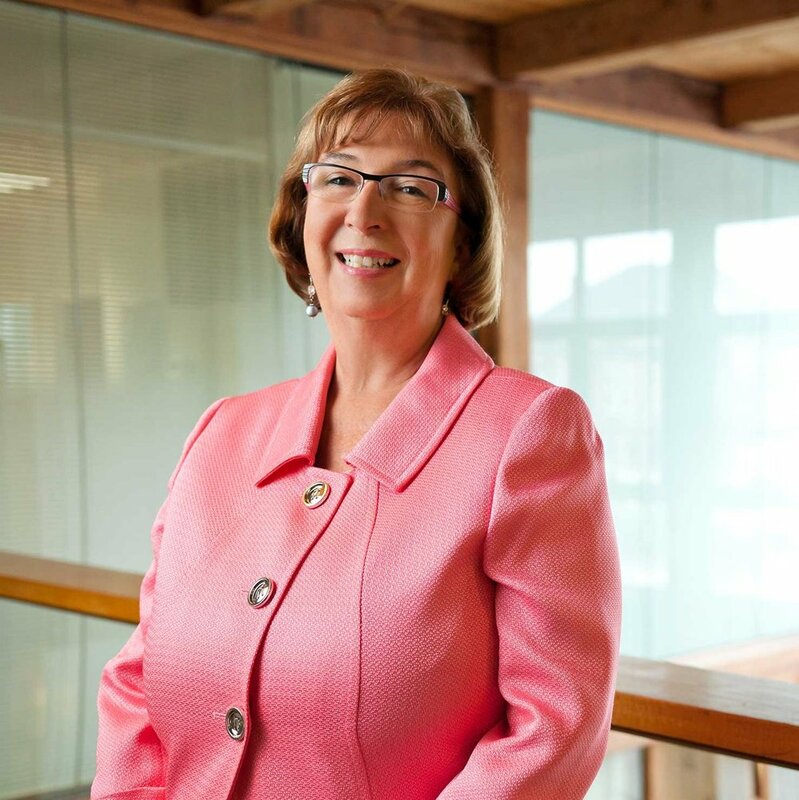 Prior to coming out of a brief retirement to take on the role of CFO/COO at Mass Insight, Margery served for eight years on the Board of that organization, during which period she chaired both the Finance & Audit and Governance & Nominating Committees. Recently, Margery completed a term as Board Member of the Association of International Certified Professional Accountants. She is a past Board Chair of both the Massachusetts Society of CPA and the United Way of Tri-County. Margery is an active member of the Accounting Department Advisory Council of UMass Amherst’s Isenberg School of Management and a supporter of Isenberg’s minority Careers in Accounting and Management Professions program. The majority of Margery’s career has been as a working mom, her children now 29 and 27. She shared the familial responsibilities with her engineer husband and both spent portions of their careers on part-time schedules. Marie Heikkinen Webb is a 1997 graduate of the Sport Management program from the University of Massachusetts and is celebrating her 23rd year working in the sports industry. She began her career with the Portland Sea Dogs in Maine, and spent eight years overseeing marketing for Minor League Baseball teams in both the United States and Canada. Areas of focus included marketing strategy, advertising, community relations and game-day entertainment. After time with the Vermont Expos she moved to Ottawa, Ontario with a specific emphasis on rebranding the team and creating a fresh new game atmosphere for fans. In her last stop in baseball she served as General Manager for a start-up team in New Haven, Connecticut. As one of only four female General Managers in minor league baseball at the time, she established the brand, oversaw all team and business operations for four years and was recognized as one of the region’s 40 Under Forty business leaders. In 2008 she transitioned to the NBA with a dedicated focus on Marketing. Since joining the Orlando Magic eleven years ago, Marie has been involved in all aspects of marketing the franchise both locally and abroad. She is also instrumental in the branding campaigns, as well as developing strategies to increase fan engagement and drive revenue. During her time at UMass, she was a leader in the Women In Sport Management (WISM) program, and continues to be a mentor for Sports Management students. Mary McCarthy '91 is a respected industry leader in the Boston Media community. After years with Arnold/Havas as SVP/Group Media Director and as Chief Media Officer at Blitz Media, Mary started her own practice in 2013. MMC is a marketing and media consultancy firm offering media strategy, planning and buying services across traditional and emerging channels. Based in Metro Boston, MMC Media provides innovative and effective campaigns for prestigious advertisers both regionally and nationally. Mary’s experience spans many brands and categories including Boston Children’s Hospital, Volkswagen of America, Fidelity Investments, Citizens Bank, McDonalds, Feld Entertainment, Foster Grant Glasses and Carbonite. 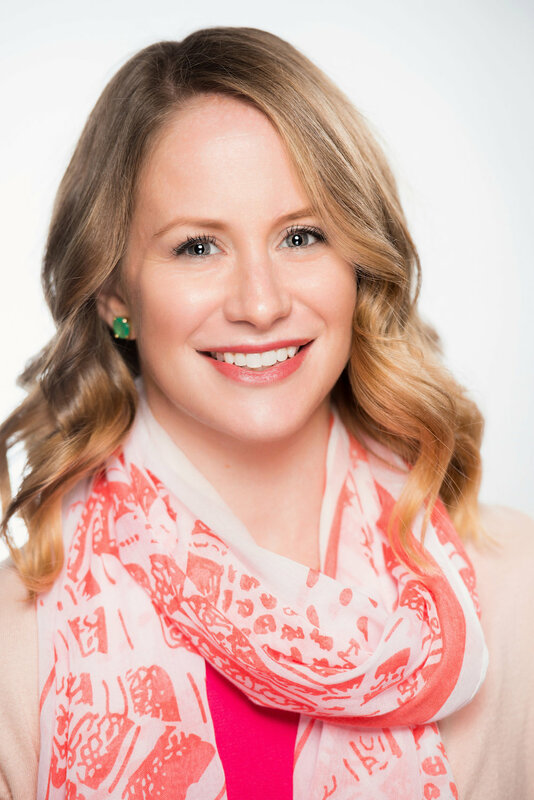 A 2007 Isenberg alumna with over twelve years of experience in marketing and communications, Meg's passion is generating brand awareness for important causes and corporations with a social impact focus. She has extensive experience in advertising, brand development, strategic planning, and project management across for-profit and non-profit organizations. Meg strives to provide creative solutions in challenging scenarios, and is fueled by strategic collaboration with both internal and external partners. She has a sharp eye for detail and won't hesitate to question everything. She is an explorer and adventurer at her core, with a love for travel and experiencing new cultures and connecting communities. She studied abroad in Venice, Italy, participated in the Business Development and Global Citizen Project in Ghana in 2007, and has worked for both domestic and international organizations. Melinda Mitchell is the Associate Director of Commercial Engine Services Finance at Pratt & Whitney. She started her career within the UTC Financial Leadership Program, and upon graduation has held various Finance roles with increasing responsibility within Pratt & Whitney and UTC Aerospace Systems. She has her Master’s degree in Business Administration from UMass Amherst, and a Bachelor’s of Science degree in Finance from Seton Hall University. Outside of work, she enjoys spending family time with her husband and two young kids and reading. Michele is the Head of Strategic Initiatives & Administration within MassMutual’s Investment Management division. Michele works with leadership to design and execute best in class capabilities and cultivate superior talent practices. She believes a people-centric lean operation delivers the highest return in policyholder value and creates the best experience for MassMutual employees. Committed to increasing the value delivered to customers and reduce the waste within operational processes, Michele coaches leaders at all levels of the firm on transformation management, change leadership and lean management principles. Completing her 12thyear with MassMutual, Michele has functioned in roles influencing executive recruiting, business strategy development & planning and continuous improvement. She is a UMASS Isenberg School of Management 2018 Driven Leader Award Nominee, a two-time recipient of MassMutual’s Enterprise Improvement Award, a recipient of MassMutual’s President Cost Challenge Award and a recipient of the MassMutual Diversity & Inclusion Champion Award. Passionate about closing the gap in women in leadership positions, Michele founded and leads the Women’s Leadership Business Resource Group’s Lean in to Learn program, focused on supporting women at all levels of MassMutual and cultivating their financial and investment acumen and confidence. Early in her career, she sold software solutions and consulting services to fortune 100 corporations in multiple industries and regions of the country. Michele is a proud mother of two children, Joseph, 16, and 7-year-old AnnaRose, and enjoys life’s delights such as fine art galleries and studios, riding horses and floating on Saratoga Lake with her kids, parents and husband, Chris. Michele obtained her MBA at Isenberg School of Management in 2013 and a Bachelor’s of Fine Arts from Colorado State University in 1995. Melissa Baker, Ph.D. is an Assistant Professor in the Department of Hospitality and Tourism Management, in the Isenberg School of Management, at the University of Massachusetts Amherst. She is an award winning teacher focusing on service experience management, human resources management, and restaurant management. Her first main stream of research focuses on service failure and recovery while her second main stream of research focuses on appearance and impression formation. Dr. Baker’s research has been published in top tier marketing and hospitality journals. Monica J. Lopez is a Consultant in Deloitte Consulting’s Boston Engagement Controller Practice. 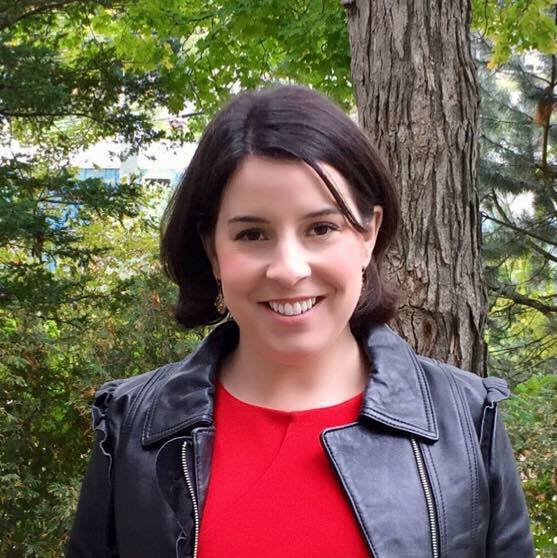 She is a 2014 graduate of the Isenberg School of Management at UMass Amherst. Monica received her Bachelor of Business Administration in Accounting and graduated with honors. Monica has over two years of experience with Deloitte Consulting. She has served numerous clients in the financial services industry, including life insurance and asset management companies. Prior to her time at Deloitte Consulting, Monica spent two years in Ernst and Young LLP’s Boston Audit Practice. During her time at Isenberg, Monica was Co-President of the Association of Latino Professionals in Finance and Accounting (ALPFA). She continues to be involved in supporting Isenberg through both alumni efforts and philanthropic giving. In her spare time, Monica loves to travel and is both an avid soccer player and runner. She cherishes time spent with her friends and family and giving back to the community. She is bilingual in English and Spanish. Dr. E. Nicole Melton is the Director for Undergraduate Programs and an Assistant Professor in the Mark H. McCormack Department of Sport Management at the University of Massachusetts, Amherst. Her research focuses on diversity and inclusion in sport organizations. Within this line of work, she examines the antecedents of workplace or team inclusion and the subsequent performance benefits of creating such environments. In addition, she explores ways to empower sport employees and athletes to become effective change agents for social justice within sport. Dr. Melton earned her Ph.D., MS, and BBA from Texas A&M University, and has held previous academic positions at Seattle University and Texas Tech University. In her life before academia, she played collegiate and professional golf and then worked as a consumer test analyst for NIKEGOLF. As a professor, she maintains her connection to the sport industry by consulting with various organizations on how to make sport more accessible and inclusive for diverse populations. A few current partnerships include working with the San Antonio Spurs, Athlete Ally, and espnW. Nnenna Ikoro is a healthcare consultant and public health professional with experience in quantitative and qualitative research, program evaluation, data analytics, business process improvement, and international development. She has worked both domestically and internationally within non-profit organizations, for-profit companies, local and federal government agencies, and healthcare facilities. In 2017, Nnenna spent time living and working in Nairobi, Kenya, where she led data-driven initiatives for patient experience enhancement at a private multi-specialty healthcare facility. She also interviewed healthcare business leaders in Kenya, Ghana, Tanzania, and South Africa to conduct market research on innovative service delivery models, consumer behaviors, and the application of healthcare technologies in emerging markets. Her international experience spans throughout eastern and southern Africa and southeast Asia. In her current role at KPMG, Nnenna works primarily with federal healthcare clients focused on insurance market analysis, process improvement, and policy analysis. She holds a Master of Public Health (M.P.H.) degree in Epidemiology from The George Washington University and a Bachelor of Science (B.S.) degree in Biology and Sociology from the University of Massachusetts Amherst (Class of 2012). Patty Catanese graduated from the University of Massachusetts Amherst in 1986 with a BS in Mathematics. Directly out of college, she was hired by CIGNA Insurance Company to work in a specialty line called “surety”. Working through two acquisitions, she has now been with Liberty Mutual Insurance for 32 years. She moved up the various underwriting roles until her promotion into management in 1998. She became a Regional VP of Liberty Mutual Surety in 2011, handling all of the Northeast States that include a team up to 100 people and $200 million in written premium. In 2012, Patty started a Women’s Resource Network with three other surety women to attract, retain, develop and advance talented women in an organization and field dominated by men. 70% of surety clients are contractors, so this is a business unit that has struggled with diversity. Patty has subsequently become a Chapter Lead for Liberty’s WE Employee Resource Group, a group to empower women, engage men and enhance success. She is also on a Liberty Diversity & Inclusion council to promote Men as Allies. Career advancement for young women has become a passion of hers over the years with great reward. Patty is married with two teenage boys and lives in Medfield, MA. Her oldest son is currently attending UMass Amherst. Paula Gould is a MarComm executive and speaker. She is Head of Brand & Communications for Network Infrastructure software company Men & Mice. Paula formerly served as Principal at Frumtak Ventures, an Iceland-based venture capital firm where she led international growth, brand and marketing initiatives across the firm's portfolio. She has extensive experience working with growth companies from various international markets, fostering new business opportunities across geographies. Paula has worked with and advised companies at the Board of Directors, CEO and CMO levels, including CLARA, acquired by Jive Software in 2013 and Greenqloud, acquired by NetApp in 2017. Prior to these appointments Paula owned PEG PR, a US-based boutique PR firm at the intersection of IT and entertainment, where she advised and nurtured the growth of clients ranging from social media, video and gaming platforms to a fuel cell manufacturer and notable award-winning artists. Rachel Spates graduated from the Isenberg School of Management with Master’s degree in Sport Management and is currently the Senior Manager, Communications for Sun Life Financial U.S., a global financial services company serving millions of clients in the U.S., Canada, Asia, the U.K., and other parts of the world. A digital marketing communications professional with extensive experience in the sports and financial services industries, Rachel’s specialties include event management, integrated marketing, PR & media relations, sponsorship activation, social media, employee engagement, and marketing communications. In addition to managing Sun Life Financial U.S. communications programs and activities to help drive employee engagement and collaboration, Rachel plays a lead role in supporting Sun Life’s sponsorship and philanthropy initiatives and is actively involved in the company’s global diversity and inclusion efforts as a member of Marketing/Communications and Operations Committees for Sun Life’s Women's Leadership Network, and as the Communications Advisor to Sun Life's Inclusion Network Council. She has previously held positions at Major League Lacrosse and the Boston Celtics. Rachel is currently in her second term as a member of the University of Massachusetts, Amherst Alumni Association Board of Directors. She is also a member of the Boston Young Professionals Board of Good Sports, Inc., and a former Vice President and board member of the Boston Chapter of Women in Sports and Events, Inc. When not working, she’s either skiing, rowing, hiking, biking, or surfing, and recently completed a successful summit of Africa’s Mount Kilimanjaro in 2018. Rachel is also a graduate of Boston University, with a Bachelor’s degree in Political Science. Sarah graduated UMass Amherst in 2008 with a B.A. in Marketing from the Isenberg School of Management. She was a member of the UMass varsity women’s rowing program from 2004-2008, and captained the UMass team from 2007-2008. After graduating, Sarah began working for the TJX Corporation in the Merchandising Development Program, a buyer training program. She is currently a Ladies' Apparel buyer for TJX. The most motivating and exciting part of this position is forming strategic visions for product categories, and seeing those ideas come to fruition. She appreciates developing relationships with her vendor community, which allows her to negotiate positive outcomes that benefit her organization, as well as her vendors. Sarah enjoys traveling, running, yoga, and baking in her spare time. Shalini is an advocate of mindfulness in business, higher-ed and society. She is committed to integrating the transformative potential of mindfulness in education, business and policy to revitalize classrooms, organizations and communities. She has a doctoral degree in marketing from the Isenberg School of Management, UMass Amherst, where she is an Affiliated Expert/Lecturer. Her research on self-awareness and mindfulness has been published in premier marketing and public policy journals. Through her organization, KnowYourMind.training, she designs and delivers mindfulness-based solutions that address organizational challenges. In her studio, Downtown Mindfulness, she is co-creating a community to promote mindful living. Shalini was recently elected to be District Councilor in the inaugural Town Council in Amherst, MA. She has been practicing mindfulness for over fifteen years and received professional certification to teach mindfulness from the Center for Mindfulness at UMass Medical School and the Search Inside Yourself Leadership Institute. When she is not working, Shalini loves all kinds of creative projects, cooking, being in nature, meditating and Zumba. Skye is the founder of the Soccer Parenting Association and the owner of Skye Bruce Properties. Soccer Parenting is an influential and trusted resource for supporting and educating youth soccer parents and coaches, and Skye Bruce Properties is a residential real estate brokerage in Richmond, VA with annual sales of over $40 million. Skye received her Bachelors Degree in Sport Management from the University of Massachusetts (1994) and her MBA from the University of Richmond (2003). She is an active youth soccer coach, speaker, Board member, and mom. For over 8 years, Stephanie has led innovative marketing and communications campaigns that have reached and engaged with millions of consumers around the world. From working at PepsiCo, a fortune 50 company, luxury skin care brands, to tech start-ups in New York City, Stephanie has acquired a unique and diverse skill set. Currently, Stephanie is the Marketing Communications Manager at the New England College of Business (NECB) in Boston where she develops and executes integrated marketing communication strategies to attract, engage, nurture and retain key audiences all while growing brand equity. Before moving to Boston, Stephanie led brand marketing and communications at 3LAB, a high-end luxury skincare brand available in over 20 countries around the world. Prior to that, Stephanie was at PepsiCo where she executed global brand communications campaigns for Pepsi, Mountain Dew, Doritos "Crash The Super Bowl" and more. 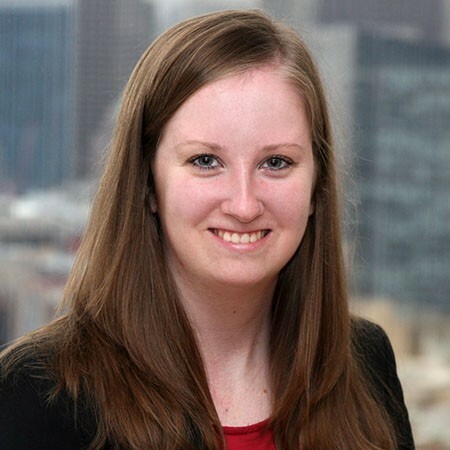 In her spare time, Stephanie enjoys being active in the marketing community as an AMA Boston member and volunteer. In addition, after being diagnosed with Celiac Disease in 2012, Stephanie has become an advocate for people with celiac disease - acting as a resource for people living with the autoimmune disease by creating the website www.glutenfreesteph.com and sharing her gluten free finds on her Instagram: GlutenFreeSteph. 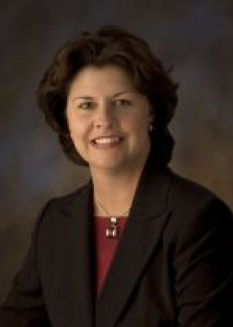 Sue Keegan is Executive Director and Chief Financial Officer, International Aero Engines (IAE) at Pratt & Whitney, a division of United Technologies Corporation. In this position, Sue provides financial leadership and oversight of IAE’s financial planning, reporting and accounting processes, including financial support to commercial engine marketing and sales campaign activities. Sue also serves as an executive sponsor for UTC’s Financial Leadership Program as well as UTC’s Finance Inclusion Forum whose mission is to foster an environment of inclusion and engagement for UTC Finance. Sue has spent her finance career with United Technologies at both Pratt & Whitney and UTC’s corporate office holding various positions of increasing breadth and responsibility within the finance organization, including roles in Commercial Engines Campaigns, Program Finance, and Financial Planning and Analysis. Sue received her Bachelor of Business Administration, Finance from the University of Massachusetts and an MBA from Rensselaer at Hartford. In her free time, Sue enjoys cooking, traveling and spending time with her two teenage children. Financial Leadership Program Alumni, Currently the Senior Financial Planning and Analysis Manager at Engine Alliance (Joint Venture with PW & GE). I've been part of the UTC family for close to 17yrs. Started my UTC career as an INROADs Intern at Carrier Corporation in Syracuse NY.